Azerbaijani leader Ilham Aliyev’s participation in the 4th Nuclear Security Summit scheduled for March 31-April 1 in Washington is appreciated as an important milestone in Azerbaijan’s foreign policy. Samad Seyidov, the chairman of the international and interparliamentary relations committee at the Azerbaijani Parliament, believes that President Aliyev’s joining this Summit is very important and significant. Seyidov, who also heads the Azerbaijan-U.S. parliamentary relations working group, told Trend that the countries participating in the Summit have not been selected randomly. “These states may contribute to the nuclear safety. Therefore, Azerbaijan’s participation in the Summit is important given the country’s role in solving the problem of ensuring stability and security in the world,” he explained. 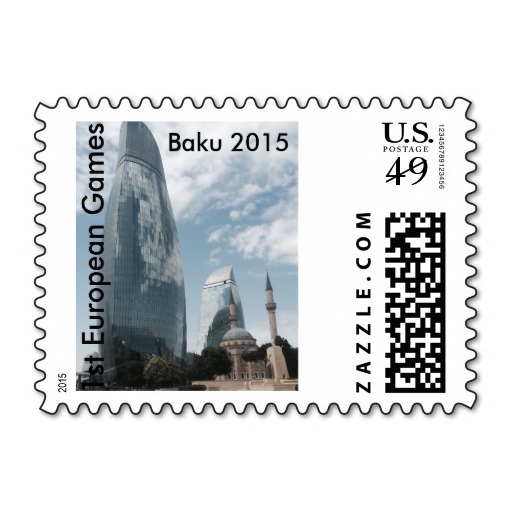 Azerbaijan, which has no nuclear weapons and nuclear power plant, has turned into a state ensuring nuclear safety in the region due to its economic potential. The country has also joined all the international nuclear safety conventions, becoming one of the few countries that ensure stability at a high level. “But unfortunately, there are countries that treat this issue from a completely different position,” the MP said. Armenia, which uses nuclear technologies and which has a nuclear power plant, not only failed to ensure nuclear safety, but also a country posing nuclear threat. “The obsolete Metsamor Nuclear Power Plant, which does not meet any standards and undermines nuclear safety the most, is still operating in Armenia,” he said. 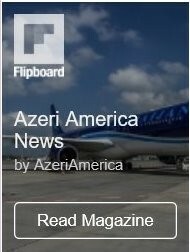 Rob Sobhani, the CEO of the US Caspian Group Holdings, believes that the invitation by President Barack Obama to the Azerbaijani President is a reflection of Azerbaijan’s strategic importance, religious tolerance, reform-oriented economy and stature as a rising star within the broader Middle East. He also said that President Aliyev’s wise foreign policy of balancing Azerbaijan’s neighbors, their ambitions and competing interests is another reason for the invitation. “Azerbaijan maintains normal ties to the Islamic Republic of Iran and Russia despite underlying tensions,” he said, adding that Azerbaijan has also pursued a path of peaceful resolution of the Nagorno-Karabakh conflict despite the Armenian occupation. Azerbaijan greatly contributes to peace and security the world and maintains close relations with the U.S. and other countries that have joined the coalition for fight against terrorism in the world. Azerbaijan has made a significant contribution to the maintenance of security in Iraq and Afghanistan. Ariel Cohen, founder of International Market Analysis Ltd, director of the Center for Energy, Natural Resources, and Geopolitics, senior fellow at the Institute for Analysis of Global Security, stated that a leading nation in the South Caucasus, Azerbaijan is a strategically vital partner to the U.S. on combating terrorism, secularism, nuclear and conventional security, energy and foreign policy. 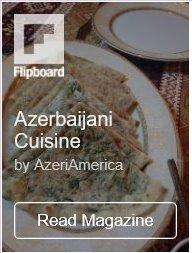 “To further a stronger partnership, the U.S. should become more active in ensuring Azerbaijan’s regional security – notably with regards to the Armenia and the resolution of the Karabakh problem, as well as possible threats from religious extremists, Russia and Iran,” Cohen told Trend. Meanwhile, MP Aydin Mirzazade believes that such an invitation also approves the high evaluation of Azerbaijan’s economic development and is the result of Azerbaijan’s contribution to the security in the international arena. “Azerbaijan’s invitation to this Summit is an indication of the strong position of the White House to the anti-Azerbaijani campaign of the Armenian Diaspora organizations in the U.S.,” he told Trend. Thus, Azerbaijan’s joining the 4th Nuclear Security Summit approves the fact that the country has become an important and reliable partner in resolving most pressing and challenging problems of the world. Furthermore, one can expect that participation of President Aliyev in this Summit will pave the way for further development of relations not only with the U.S., but also with other participating countries. Being an important event, the Summit and the bilateral meetings to be held on its sidelines, can contribute to the resolution of regional conflicts and implementation of huge projects.